Not to be a broken record, but we love our customers. And one of our favorite things is when we get to meet our customers face-to-face. We’ve done this through pop-up stores, inviting Jimdo customers to our office in Hamburg, and sharing customers’ experiences via Jimdo Stories. Which brings us to our most recent customer encounter. A while back we stumbled across Artistic Dry Cleaners. We instantly fell in love with the website and after exploring it more, we also fell in love with the customer’s story. Good use of icons: The site does a great job of using icons to demonstrate the various services of the business. The icons are modern, easy to decipher and match the look of the rest of the site. Because the story was so intriguing and the website so impressive, we had to meet the family behind it! We met with Andy and Young’s son-in-law Mo Nguyen at the family’s business in Portland, Oregon. He showed us around the laundromat and the dry cleaning storefront where Andy and Young were busy working their magic. Mo also showed us the empty shop next door, which they recently remodeled in order to open up a paleo-only market called Caveman Pantry. And guess which platform they used to create a site for this new venture? That’s right, Jimdo. Mo also talked to us about why they created a site with Jimdo, how online tools help promote their business, and of course the quirks of Portland. How did you hear about Jimdo? I was browsing the web and for some reason stumbled upon a surf shop based out of Australia. I really loved their design and style. I scrolled to the footer and noticed information regarding Jimdo. I Googled Jimdo and the rest was history. This is not my first website, I have made many before. I started years ago using the simple Notepad from Windows then evolved to Adobe Dreamweaver. Then suddenly, online WYSIWYG website editors started popping up everywhere. I decided that my vision was beyond my programming skills, so switching over to an easier website editor made sense. Wix seemed most prolific at that time and that was what I used. I eventually made the switch to Jimdo because the templates offered were much more sleek. The controls and editing tools were more user-friendly as well. Why was it important for you to create a website for your business? It’s important to have a website because it acts as somewhat of a virtual storefront. Internet search is the most common and first method for people to seek information, and as a business we want to be found as easily as possible. The SEO tools in Jimdo makes it very easy for me to edit page titles and descriptions that are optimized for search results with most popular engines. In our own personal experience, we have seen our website appear on first page results organically! You’re a family-run business. Is there a specific member of your family who is in charge of managing your site? What did you like most about creating your site with Jimdo? How simple it is to use! Believe it or not, I was able to build most of our website in just a under a day. The other thing I love is the quick response time from the tech team. My answers are normally answered within 24 hours. Your website looks great. Any tips on how other businesses can create a professional looking site? Branding and continuity! A good place to start is looking at your current logo and try to expand that style and scheme throughout your website. Sometimes less is better, so avoiding cluttered, hodgepodge, and nonfunctional elements to the website can make it easier for a visitor to digest your information. Take a look at the website for Artistic Dry Cleaners, using the Zurich template. What online tools and services do you use to promote your business? We use a gamut of Google online tools to help us promote and track our website. This includes webmaster tools to submit our site map and URL, Google Plus business page, Google places listing, and analytics to monitor activity. In addition, we claimed our Yelp, Four Square, and Facebook pages. We also try to blog about various topics as often as possible to keep content fresh and to add more words to our site. Lastly, we connected with local business and neighborhood groups online and had them link our services from their websites. You have a 4.5-star rating on Yelp! Your customers clearly love you. What advice can you offer other small businesses about developing great customer loyalty? Just offer friendly, honest, and good service, but when that’s not enough you can simply ask and encourage your customers to write a review for you. Make sure to display Yelp and Google badges somewhere on your site to “show off” your rating and to also encourage new reviews. Another important step is to respond and follow up to reviews, it shows existing and potential customers that you’re listening and proactive. Portland’s slogan is “Keep Portland Weird.” Dare we ask, what’s the weirdest thing you ever had to dry clean? A custom-made Princess Peach cosplay outfit from Super Mario Brothers, and no, it did not belong to a kid! What’s your favorite thing about living/working in Portland? Thanks for talking with us, Mo! 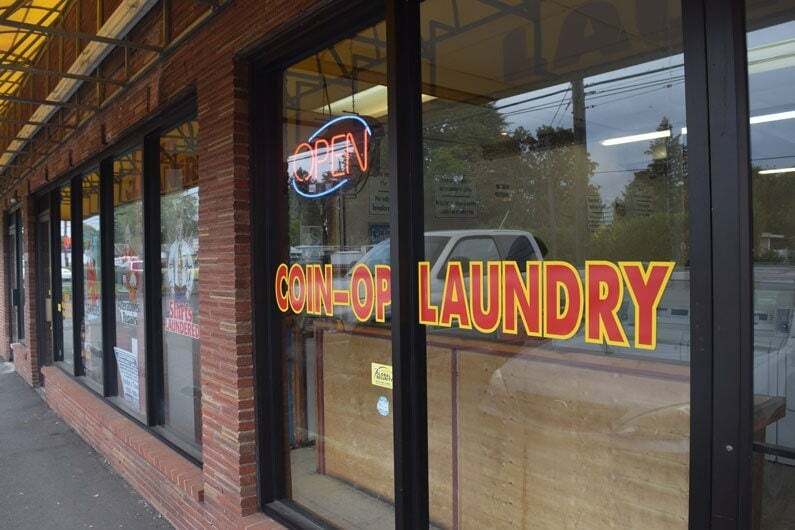 And remember if you’re ever in the Portland area, be sure to take your clothes to Artistic Dry Cleaners.